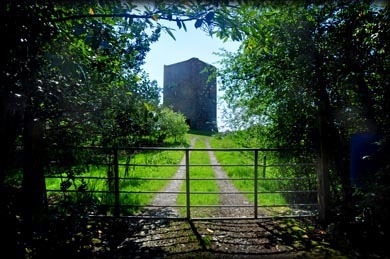 After seeking permission from the landowner at Artramon house, I walked down the country lane on the opposite side of the road that leads to Artramon Castle. 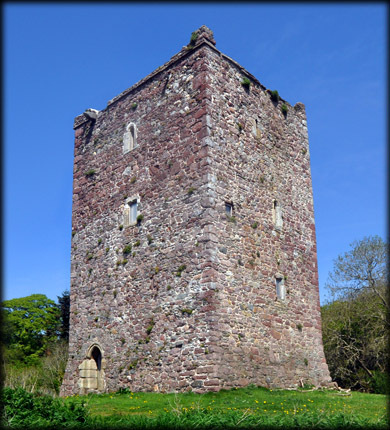 The castle is a four storey tower house, that survives to the bottom of the parapet. It was held by Gerard de Rupe (Roche) in 1247. 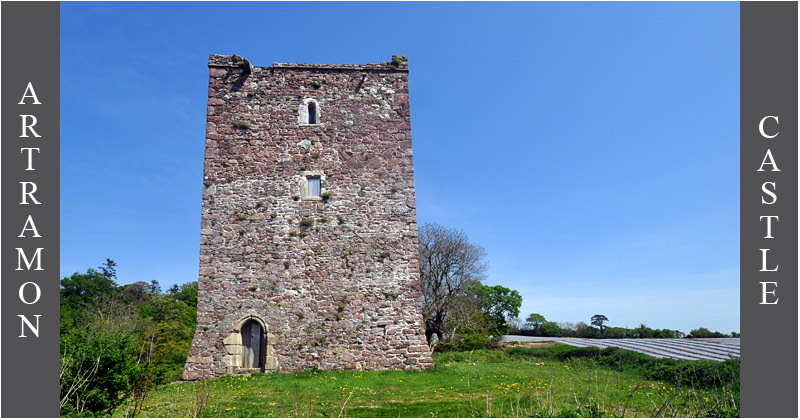 It was owned by the Roche family into the early 16th century. 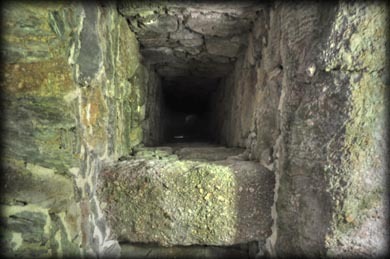 I entered the castle through a large breech in the north wall. The original entrance, in the south wall is boarded up. 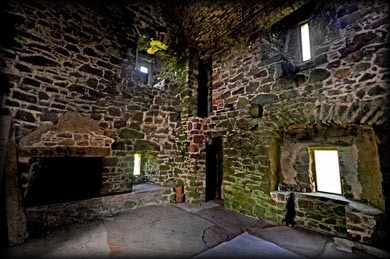 I was quite surprised by the relatively good condition of the tower house. The stone is mainly red sandstone including the quoins. Most of the curved windows and the pointed doorway are framed with granite. 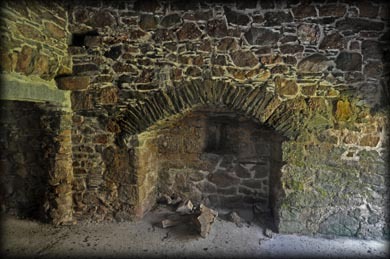 The doorway was protected by a yett, a machicolation and a murder-hole. There is a mural stairs in the south wall leading to the upper floors. On the third floor there are arched windows with seats in the north, south and west walls. The windows offer superb views of the inner Wexford Harbour and the river Slaney. Pictured above are the doorway, in the centre, and two of the windows in the south and east walls. The image below left was taken looking straight up the murder-hole. 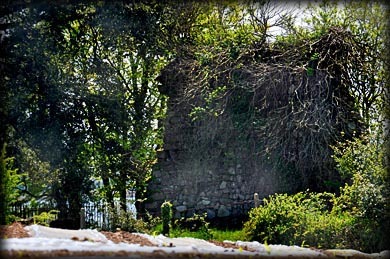 St Bridget's well lies about 50 metres to the east of the farm gate, pictured below. Unfortunately I was looking in the wrong location for the well during my visit. See parish church below. Lying in a field 170 metres to the north of the tower house is Artramon parish church. Pictured below is the one remaining gable, situated in a small rectangular graveyard. Situated: From Castlebridge take the Crossabeg road west for 2.5 kilometres. Artramon house and farm are on your right and the laneway is on your left facing the house. Discovery Map 77: T0355 2618. Last visit May 2016.